Attica prison inmates negotiate with Commissioner Russell Oswald, lower left. 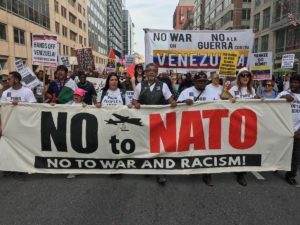 Monica Moorehead and Lamont Lilly, the presidential and vice presidential candidates for Workers World Party, released the following statement on Aug. 30. On September 9, prisoners from coast to coast will rise up against the unimaginable cruelty of the U.S. prison-industrial complex in the first ever nationally coordinated prisoner general strike. Led by prisoners deep inside the belly of the imperialist beast, the strike will seek to end once and for all this new form of chattel slavery and legalized human trafficking in U.S. prisons. According to the inmate organizers themselves, “We are not making demands or requests of our captors, we are calling ourselves to action. To every prisoner in every state and federal institution across this land, we call on you to stop being a slave, to let the crops rot in the plantation fields, to go on strike and cease reproducing the institutions of your confinement.” Read the prisoners’ full statement here: tinyurl.com/zwbagg4. There are 2.3 million people in U.S. concentration camps as prisoners of the racist U.S. war on Black, Latinx and poor people. Millions of dollars of sophisticated U.S. weaponry are being produced by inmate slave labor. The federal prison system forces tens of thousands of inmates to work in intolerable con­di­tions for 23 cents an hour, and often no pay at all in state facilities. This creates tremendous downward pressure on all workers’ wages, which include low-wage and part-time workers. Poor women, especially Black women, are the fastest growing section of the U.S. prison population, and queer and trans people are particularly at risk for arrest and incarceration due to institutionalized sexism and bigotry. 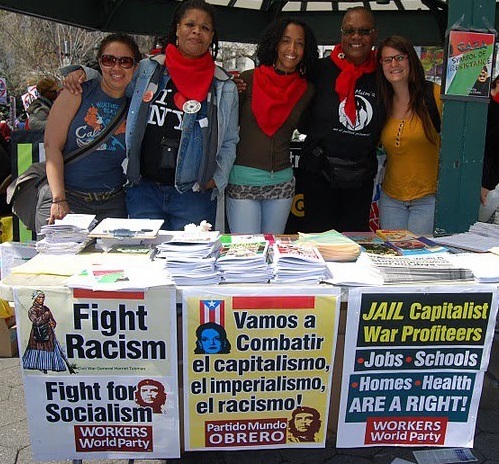 Since the founding of Workers World Party in 1959, our consistent message has been to emphasize the importance of centering on the struggles of the most oppressed. This is the truest path to working-class unity, and it is our strongest weapon in the fight against all injustices under capitalism. 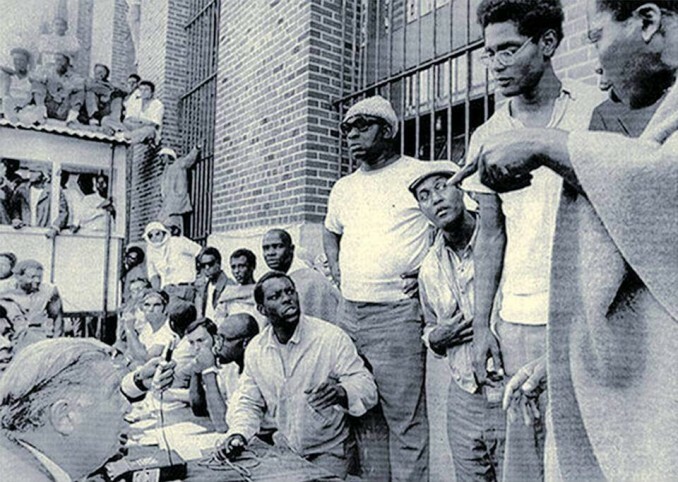 It is why during the heroic Attica prison uprising, the Prisoners Solidarity Committee, a Workers World Party’s mass unit, was specifically requested by the inmates to join Black Panther Party Chair Bobby Seale and attorney William Kunstler, who were mediators at the prison. Tom Soto was an observer for the PSC. 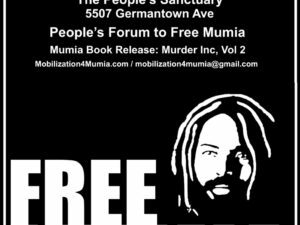 Our steadfast belief in the power of unity under the leadership of the most oppressed is also why the Moorehead-Lilly campaign, as well as our entire party, stands in complete solidarity with all prisoners who fight for freedom and liberation. We urge our friends and allies, as well as all people of conscience, to join us by attending a support demonstration outside a prison on Sept. 9. Inmates, former felons, youth, undocumented workers and all others who are denied even the most elementary right to vote in the capitalist elections are invited to make their voices heard by voting for our candidates at Vote4Socialism.org.